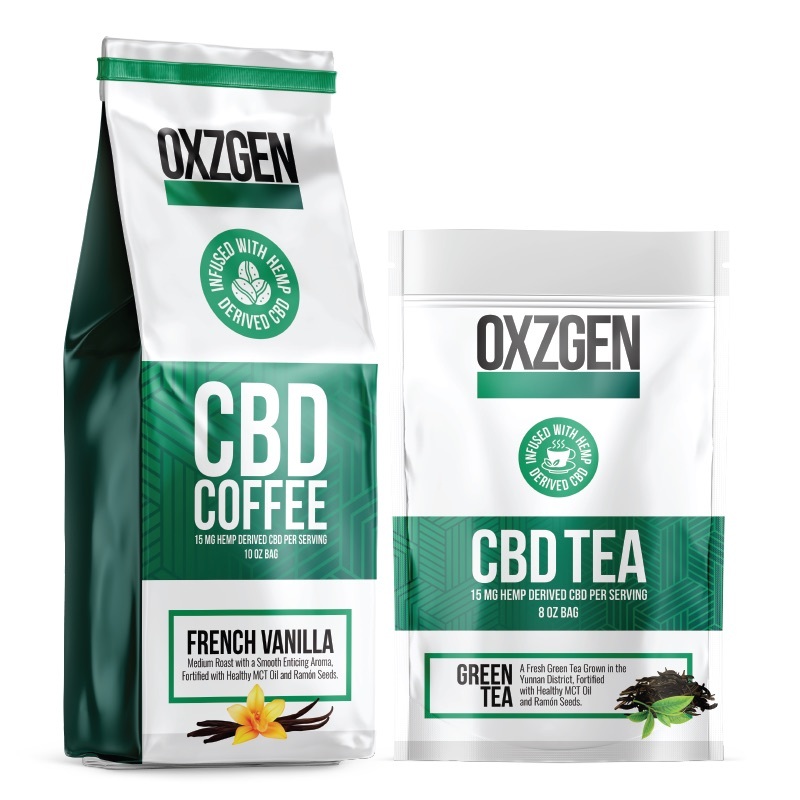 ROCHESTER, N.Y. - Feb. 15, 2019 - PRLog -- The fastest-growing THC-free CBD brand, OXZGEN, is expanding its line of products to include CBD coffee and CBD tea. The announcement continues the steady expansion of OXZGEN's offerings, which already include CBD supplements and tinctures, CBD sprays, and CBD-infused creams for pain relief, skin care and moisturizing. "Coffee and Tea are the world's most popular beverages," explains OXZGEN CEO Nelson Gerard. "Infusing the natural benefits of hemp-derived CBD makes for a powerhouse combination. We are very excited to be able to introduce these new products to our customers, as well as to everyone who loves coffee and tea." The official launch of OXZGEN CBD Coffee and OXZGEN CBD Tea will be at the 5LINX National Training Event in New Orleans, LA, March 27-30. The event will be attended by 5LINX independent sales representatives from across the nation, who have been responsible for the meteoric rise of the OXZGEN brand over the past 2 years. By offering their products direct to the consumer, the company is able to offer its American-sourced CBD products at lower prices than competitors utilizing foreign-grown CBD. OXZGEN spokesman Juwan Howard, a 19-year NBA veteran and current NBA coach, stated that the introduction of a CBD coffee and tea line is the next major growth area in the CBD industry. "CBD is changing lives every day, but millions still are not aware of the benefits," he stated. "Coffee and tea are convenient and comfortable ways for an entirely new audience to experience the impact of this essential dietary compound that our bodies need." For more information about the potential health benefits of hemp-derived CBD, visit why.OXZGEN.com.